Rugged PDAs almost invariably offer more protection than even the most rugged laptop or UMPC. The PS535F is no exception, with an impressive 1.52m drop test figure. The IP54 waterproofing is disappointing, however: while it allows for a serious dousing, it's nothing in comparison to the IP67 offered by many rugged PDAs. 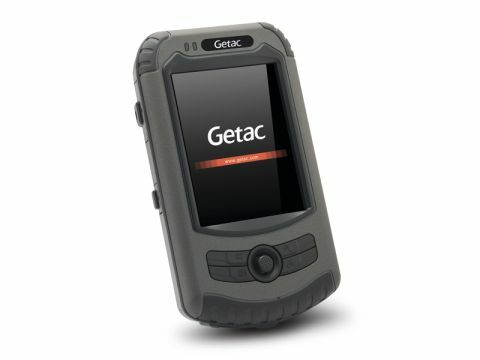 Ergonomically, we liked the PS535F – Getac reckons it's the world's smallest rugged PDA. A small package doesn't mean a low specification, though. The PS535D has all you'd expect of a PDA (Windows Mobile 6.1, 533MHz Samsung 2450 processor, 128MB RAM, 1GB flash memory, SD slot, 3.5in VGA screen, Wi-Fi and Bluetooth) and a whole lot more. Specifically, it has a 3 megapixel camera, an electronic compass and altimeter and a built-in GPS receiver for full navigational capability. It costs more than a run-of-the-mill PDA, but given its high level of ruggedisation and decent specification level, it's really not a bad buy at all.